Paradise on earth is what Palau is all about. 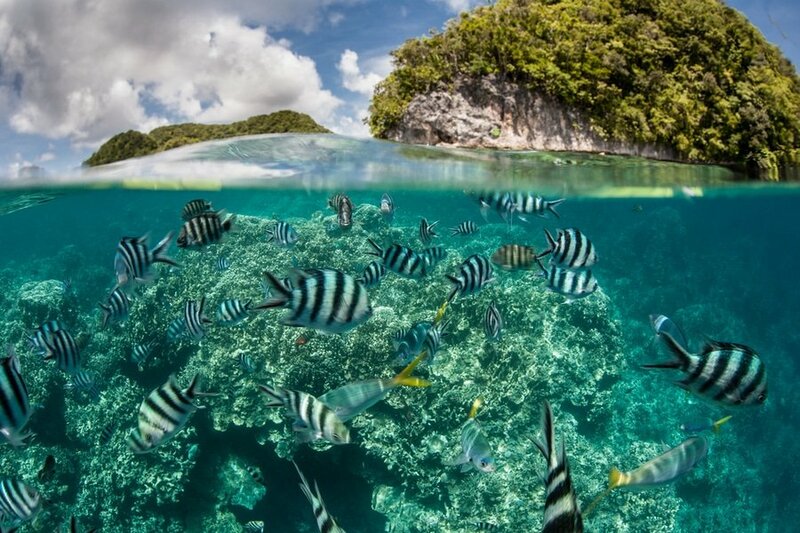 Secret lagoons, crystal clear depths, secluded white sandy beaches and spectacular coral gardens make Palau a world class diving and snorkeling destination. For people who want to be away from the world for a while and those who want to spend some time in a hammock with views that look like screen savers, then Palau is for you! But be aware! Many visitors who venture here find themselves returning again and again. Getting to Palau – Visitors to Palau usually arrive by direct or charter flights throughout the year. United Airlines operates daily, connecting from U.S.A., Japan, and other metropolitan centers through Guam or twice weekly from Manila, Philippines. Delta Airlines operates directly from Narita, Tokyo three times a week. Japan Airlines has chartered flights throughout the year from Japan. China Airlines and Palau Airways operate scheduled flights four times a week from Taipei, Taiwan. Asiana Airlines operates four times a week from Incheon, South Korea as well as Korean Airlines twice a week. Money and costs – Palau uses the United States Dollar (USD) as its currency. ATMs and credits cards are widely accepted, but check with your bank beforehand if there are any limitations. As a general rule, do not rely on credit or debit cards when traveling in Palau. It is still best to bring enough US dollar bills. If you are on a cruise, please note most tour companies have credit card facility to accept payments on board for your incidentals incurred during your stay. 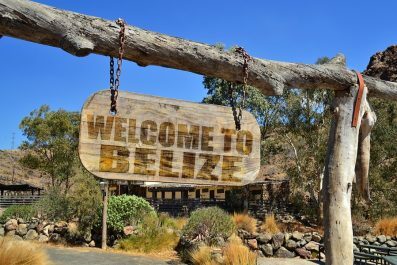 However, some might require credit card transaction the day prior to your tour because the credit card machine is in their main office in Koror. Language – The official language of Palau is English and Palauan. Part of the population can speak Filipino because of migrants from the Philippines. Japanese, on the other hand, is spoken by older Palauans. Etiquette – Most foreign tourists are pleasantly surprised to know that Palauans respect cultural differences and easily give regards to foreign visitors. They are generally hospitable and respectful people. 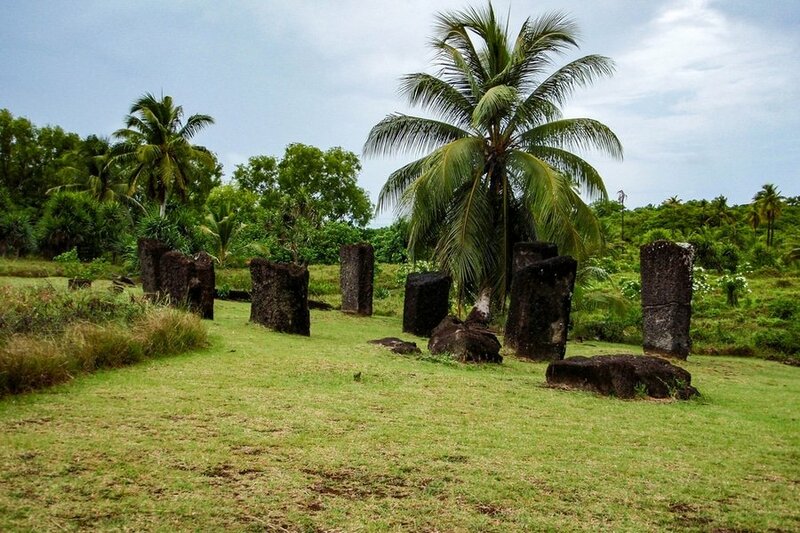 Being a Spanish, German, Japanese and later on American Colony for many years, foreign cultures have been selectively assimilated, adding a distinct dimension to Palauan culture. 5. Getting around – Koror is the main town of Palau and due to its relatively small size, it easy to get around on foot. Alternatively, you may take a cab which are not metered as the fares are fixed. There are several tour operators in Koror offering excursions to the rock islands and the other island of Palau. it is also possible to hitch a ride with one of the local boats in Babeldaob and Kayangel Island. Where to stay – Palau is an expensive destination so you won’t find rock bottom prices. There are, however, small guesthouses which are cheaper alternative than hotels. Luxury travelers will be surprised to see several luxury accommodations to choose from in Koror. There are also plenty of beachfront properties on the more secluded part of Palau. 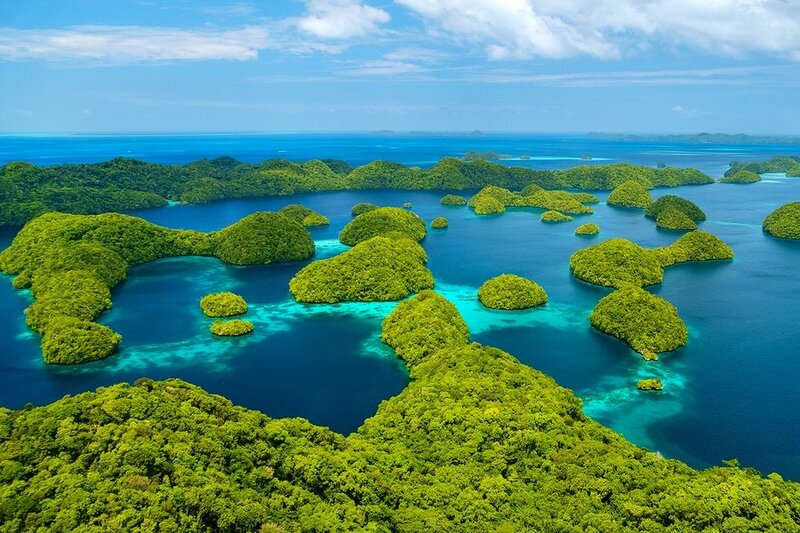 Climate – Palau enjoys a pleasantly warm climate all year round with an annual mean temperature of 27˚C (82˚F) . Relative humidity is 82%. Rainfall occurs throughout the year – in the dry season it rains once a day; in the rainy season (July-August) it rains twice a day – though almost all the rain tends to come in short, afternoon bursts. Typhoons are rare as Palau is located outside the typhoon zone. 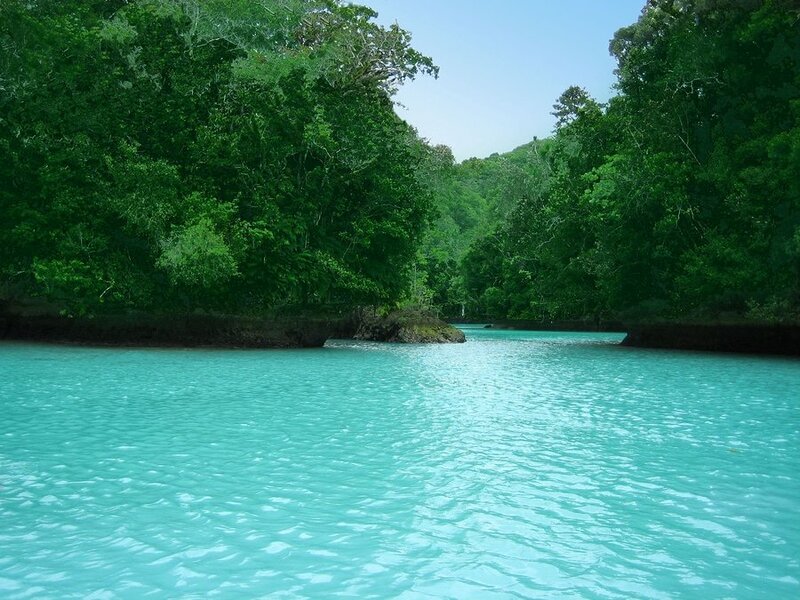 Take an international flight to Koror, Palau’s main economic and commercial hub. 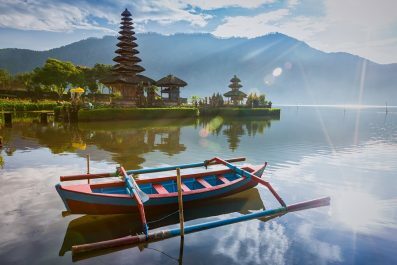 It is best to get an early morning arrival so you could fight off your jet lag before you go exploring in the afternoon. Get settled and eat at one of the many restaurants in Koror. You can try some of the top rated restaurants like Elilai (Belvedere Apartments, Main St, Meyungs), Taj , Emaimelei Restaurant & Kumangai Bakery (Lebuu St | Behind WCTC – Western Caroline Trading Company – Shopping Center) and Kramer’s Cafe (1 Pirates Cove). If you arrive late at night, get a good night sleep so you have energy for a whole day of adventure the next day. Wake up to a delicious breakfast on your private room or get a slice of Micronesian life in the local bars and restaurants, and try the local delicacy fruit bat soup. After breakfast, meet your Palauan guide for your cultural tour of Babeldaob Island. You will be able to see number of wonderful sites such as Badrulchau Stone Monoliths, Airai Bai, Kaigun Sho and Melekeok Bai. For lunch, enjoy a customary lunch in the island. Lounge on the beach and savor local specialties and signature favorites served in hand-woven baskets. After lunch, you can visit Ngardmau Waterfalls, the tallest waterfall in Micronesia. Enjoy a 30-minute hiking across savannas and canopy covered jungles. For dinner, try Koror’s most popular restaurants like Drop Off Bar & Grill and Bottom Time Bar & Grill. On your third day in Palau, experience snorkeling and kayaking to the Rock Islands. All tours in Palau have expert guides that will provide basic paddling instructions so no kayaking experience is required for this trip. Also, they can give advanced paddling tips for visitors who already have prior experience in Kayaking. It is important, however, to assess your physical condition before you join any sea kayaking tours. After breakfast, meet your Palauan guide for your introduction to the gorgeous Rock Islands. Palau is famous for its biodiversity and beauty. You can swim with the gentle rays, or simply observe from the surface the marine creatures like harmless local reef sharks, turtles, barracudas and colorful reef fish. Within Nikko Bay, you and your group would kayak through small marine tunnels to get to Disney Lake (a marine lake in the bay). At night, your group will make your way to the first island camp, Blue Devil Beach. For one of the most memorable breakfasts you’ll ever have, meals will be prepared and served by the camp chef. All sea tours to the Rock Islands provide meals to their guests. After breakfast in the Blue Devil Beach, board the morning boat to Risong Bay and explore the island on a kayak. After kayaking through a marine tunnel, you’ll arrive in Black Tip Lake, one of Palau’s prime marine nursery habitats where female black tip reef sharks give birth. 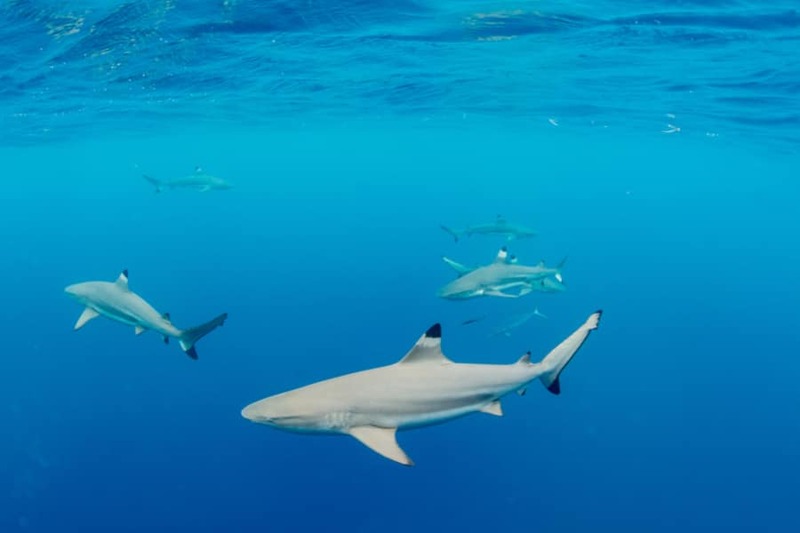 You will certainly enjoy watching juvenile black tip reef sharks while kayaking. At night, your group will camp at Blue Devil Beach. On day 5, continue your fantasy escape with a journey from Blue Devil Beach to Milky Way, where sea floor is covered with soggy milky-white clay which can be used as natural exfoliant. 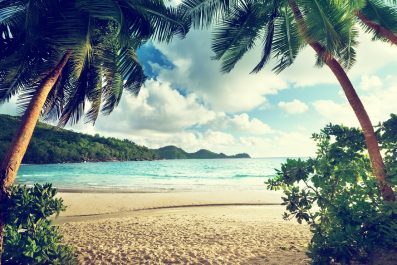 Locals of Palau believe that bathing in the white clay found on the sea floor has therapeutic effects. Your guide will jump into the shallow waters of Milky Way and will scoop muddy clay into a plastic bucket. You can playfully apply the mud clay to your entire body, wait for 30 minutes and then jump into the milky water to rinse it all off. From the Milky Way, your group will pass through a tunnel to the secluded Secret Lake where you will see the multicolored Einstein’s Gardens. At night, your group will camp at Ngeremdiu Beach. Start your day kayaking in the Long Lake, a saltwater lake home to baby eagle rays, turtles, and giant clams. Then make your way to the stunning patch reefs of Fantasy Island. Go on a reef discovery excursion to see the coral forest and Palau’s underwater world. At night, your group will camp at Ngeremdiu Beach. After breakfast in Ngeremdiu Beach, board the boat and venture into the surreal Jellyfish Lake, where you will encounter thousands of non-stinging jellyfish. Swim and feel the delicate bodies of the jellyfish swimming against your skin. 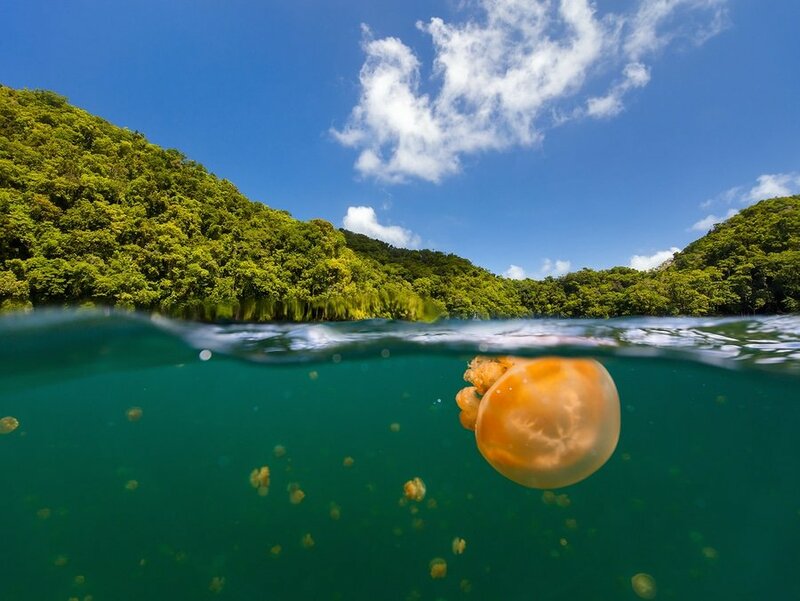 Here, your Palauan guide will tell you the story of how the Jellyfish Lake was created by an evolutionary phenomenon that happened millions of year ago. At night, your group will camp at Loulomekang Beach. Savor your last morning in paradise with a relaxed breakfast in your room or at a nearby restaurant. Head to the airport in time to check in for your international flight home, or you may opt to continue traveling independently, or extend your stay in Koror. Have you been to Palau? Do you have any tips or suggestions to share? If so, you can leave your comments below.